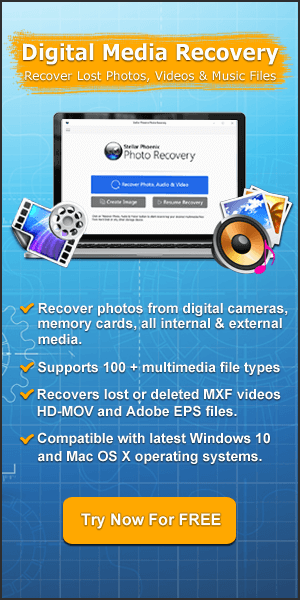 Photo, Video & Audio File Format Recovery! Lost your Photos, Video or Audio files from Media Storage Devices? Mistakenly deleted photos from your digital Camcorder? Unable to access the photos saved in your camera? Accidentally! Formatted your Camera memory card? Digital Camera displaying error message? These are the common scenario that is faced by the digital camera or camcorder user. 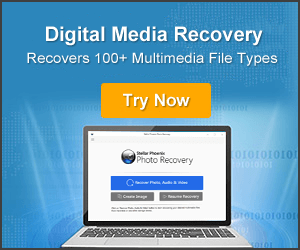 But now with the help of Digital Media Recovery Tool user can easily recover the lost or deleted file from digital camera or any other media device. It is a professional and powerful efficient recovery software which you were waiting desperately. It not only recover the lost or deleted media files but even recover corrupted, damaged or hard deleted files. You can recover data from SD memory card, hard drive, external hard drive, Flash card or any other storage media. Recover Pictures: BMP, JPEG, TIFF, GIF and PNG. Video File Formats: AVI, MP4, MOV, ASF, WMV. The software provides a very user friendly interface that doesn’t need the user to have any technical knowledge in order to operate it.